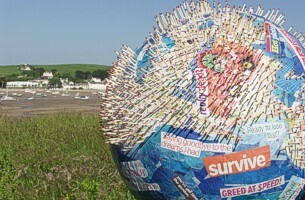 ‘Fire & Fury’ is the theme for 2009's Appledore Visual Arts Festival (Thursday May 28th – Sunday May 31st). From our earliest history, fire has been an integral part of our creative process, it has been used to create and inspire great art including; glass, ceramics and metalwork. 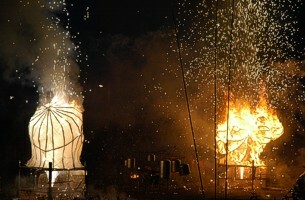 The Festival will be a contemporary celebration of fire in its full creative fury! Our varied programme of events will set you on fire with exciting artists and unusual events; from kilns on fire to burning beacons, from fiery workshops to flaming performers the Festival will stoke your creative embers. 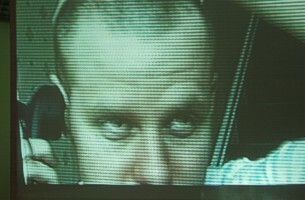 This was the first annual Visual Arts Festival of its kind in the UK, today the event has a reputation as one of the broadest ranging events of its type. Visitors are offered a unique opportunity to interact with artists as they take part in a wide range of residencies, demonstrations, workshops, talks and art-creation events. The Opening Night (Wednesday May 27th) celebrated the dedication of the first Time & Tide Bell created by the sculptor and musician and Marcus Vergette. 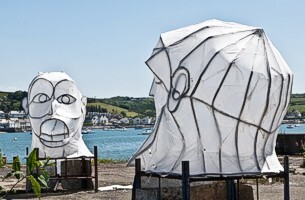 This national public art project was initiated in Appledore with the installation of the first of a series of 12 unique bell forms around the UK coastline. The bell was cast at one of the few remaining foundries in the UK and is a testament to fire and its potential to create and form innovative and contemporary new artwork. Participating artists included internationally renowned artists who are inspired by or work directly with fire and its creative potential. 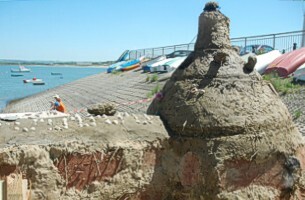 Sebastian Blackie will be building and firing a paper kiln, Ben Piper who worked with Welfare State International will be creating a fire installation. On the Saturday night, Sebastian and Ben created an exciting experience of fiery events! 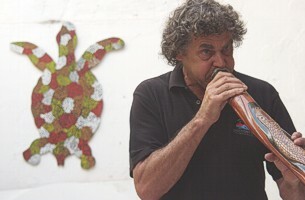 Funded by the Australian Arts Council, the aboriginal artist Noel Butler was travelling and performing in Europe as part of The Croobyar Project. We were excited that Noel an artist and aboriginal story teller was present to talk about aboriginal culture and in particular the significance of fire and fire ceremonies in their ancient culture. 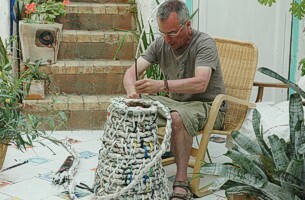 Gareth Mason the internationally renowned ceramicist ran a two day Masterclass at the Burton Art Gallery, Bideford. Participants had the rare opportunity to develop their throwing and making skills with a skilled and creative master potter. 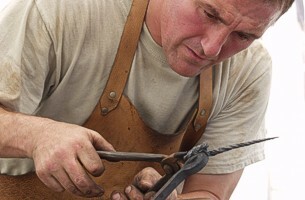 James Kendrew, North Devon artist and member of the Devon Guild of Craftsmen demonstrated the ancient skill of blacksmithing and forging. Martin Joiner a recent graduate from the Somerset College of Arts & Technology was been selected as the first recipient of the Appledore Arts Fellowship. The Fellowship is an exciting new element of our programme, each year we will select a student or recent graduate who will develop a site specific piece of work which will be showcased at the Festival. Many of Devon’s leading Arts Organisations will be present including; Beaford Arts, DAISI, Dance in Devon, Double Elephant, Exeter Phoenix, Spacex and The Plough. Festival visitors were able to join in and enjoy the opportunity to work alongside artists and dancers as they created work inspired by the theme of ‘Fire & Fury’. The extensive programme included workshops for adults, children and families. Advance-Booking workshops include; film animation, a play-in-a-day, printing, life drawing and jewellery making. Whole families could join in and create a giant fiery phoenix or help to build a clay kiln in a series of free Drop-In workshops. Alongside all these inspiring artists and workshops we screened a programme of Film Shorts. Categories included films from young people, films about the theme of ‘Fire & Fury’ as well as a wide ranging open category. We also screened the Age Of Stupid a new 90 minute film starring Pete Postlethwaite as a man living alone in 2055 looking back at 2008 and how climate change impacted the World. 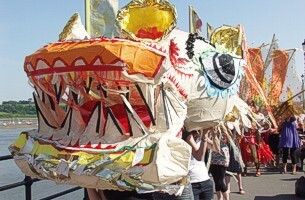 The Festival also offered visitors the opportunity to explore this unique and historic village. There were Open Gardens, Decorated Doorknockers and an Artists Trail where selected artists displayed and sold their work in the homes of Appledore residents. To celebrate the end of the Festival, there was a grand finale on the Sunday afternoon. African dancers, accompanied by Energia Samba Band and carnival art created during the Festival were led by a giant Fiery Phoenix through the picturesque and winding streets of Appledore. The programme of exhibitions, events and residencies, educational projects, open studios and workshops involves a wide variety of artists ranging from internationally renowned artists to local craftspeople, children and community groups. 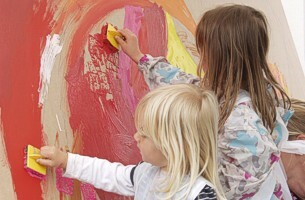 The Festival is a fantastic opportunity for people of all ages to take part in art events and activities. Appledore is a beautiful estuary village with a maze of streets and expansive views across the estuary of the Torridge and Taw rivers. All over the village events will be happening so come along, get creative and enjoy the fun of the Festival. There will also be live music, Contemporary Crafts for sale and lots, lots more. See you there!